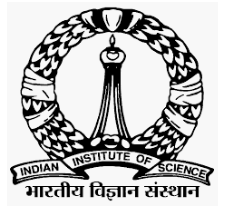 Indian Institute of Science (IISc), Bengaluru is organizing a QIP Short Term Course on Data Analytics during July 22-26, 2019. The Fields of Machine Learning and Data Analytics have gained wide popularity over the last few years. Data is changing the way decisions are made. Understanding large data sets and applying mathematical techniques to extract nontrivial and potentially useful information from data sets is becoming important. The proposed course aims at pulling together some of the critical components of Mathematics, Computer science and Machine Learning that together form a coherent area of study of the ways large data sets can be used to perform decision making. Linear Methods for Classification and Regression. Additive Models and Tree-Based Methods. Recommendation Systems and some other Applications. A Broad Graduate level exposure to Linear Algebra, Calculus and Probability. The course is meant for teachers of engineering colleges recognized by All India Council for Technical Education (AICTE) who send their applications through proper channel. There is no course fee for them. Selected AICTE teachers will be paid TA at actuals subject to the limit of Three-tier AC train/bus fare by the shortest route from the place of work to Bengaluru and back. In addition, non-sponsored AICTE approved college teachers and other self-support teachers, scientists from research labs, practicing engineers from industries and other interested are eligible. They should pay the fees online. The total number of seats are limited to 70 for applying and 30 candidates will be selected for the course. Faculty: Rs. 10,000 + 18% GST. Industry Participants: Rs. 15,000 + 18% GST. Last Date to Apply: 22 April 2019. Intimation of Selection: 25 April 2019.